President Lincoln with General McClellan and his Favorite Book. This is a rare photo revealing that President Lincoln did actually have something under his hat. 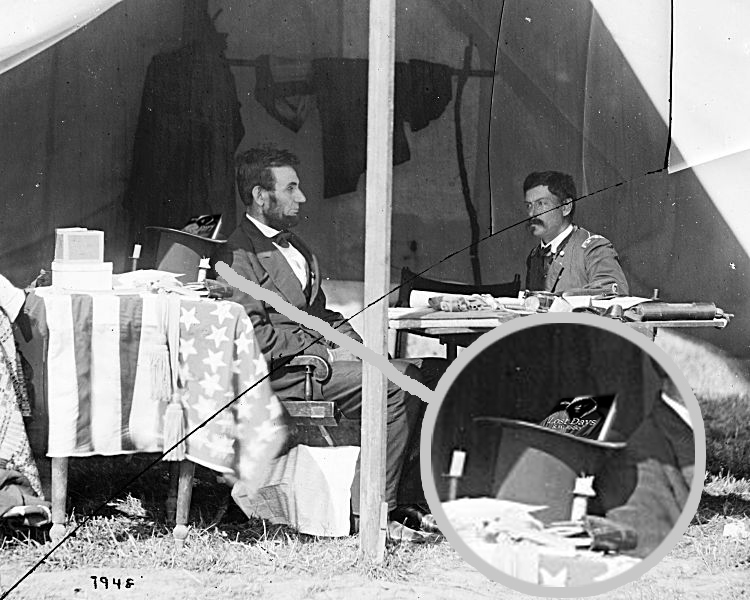 The Great Emancipator sits in a command tent with General George B. McClellan talking about the war, politics and Abe’s favorite book, Lost Days. You know that this picture has to be real because it was taken way before Photoshop was even invented. This entry was posted in Lost Days Book, Lost Days Photoshop Celebrities, My Books and tagged abraham lincoln's hat, bigfoot, books for girls, civil war pictures, cryptozoology, lincoln and mcclellan, rarest picture of lincoln, young adult fiction, young adult novels. Bookmark the permalink.